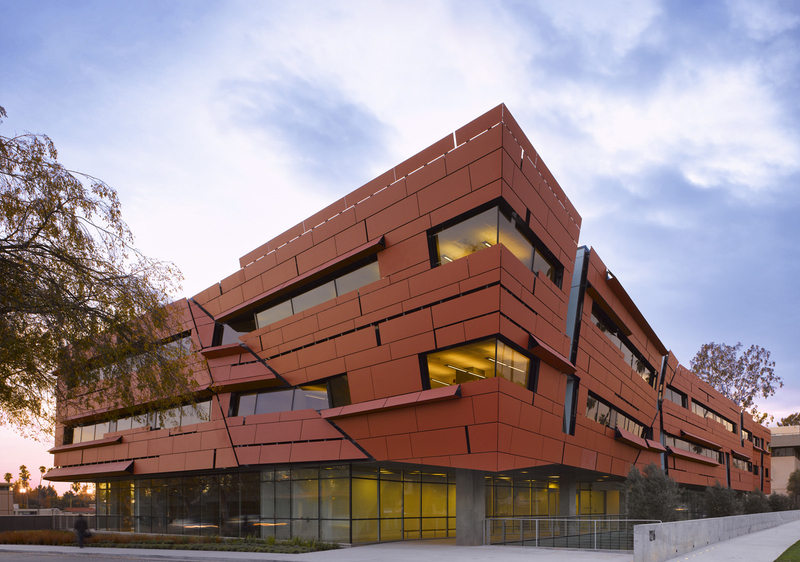 The Caltech Cahill Center for Astronomy and Astrophysics research facility was designed by 2005 Pritzker Award recipient Thom Mayne. 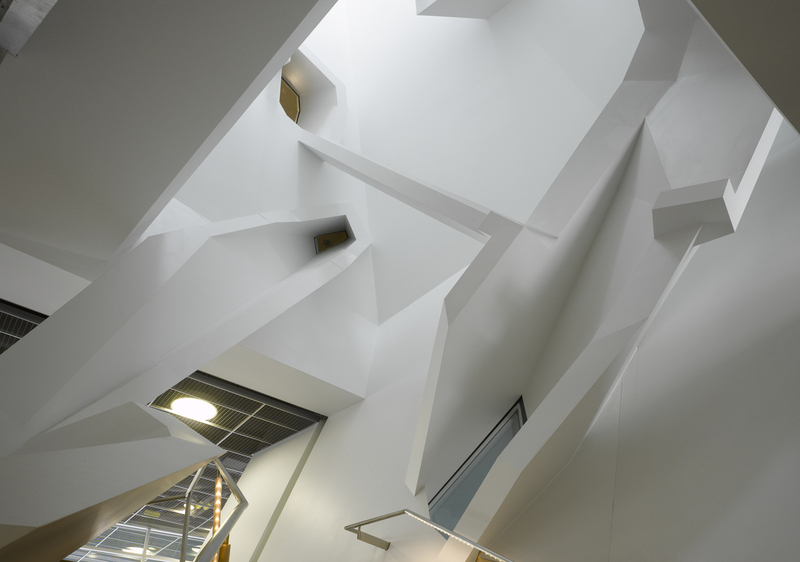 The 3-story with basement facility features a 150-seat lecture hall, a library, Class 10,000 and Class 100,000 clean rooms, and offices. 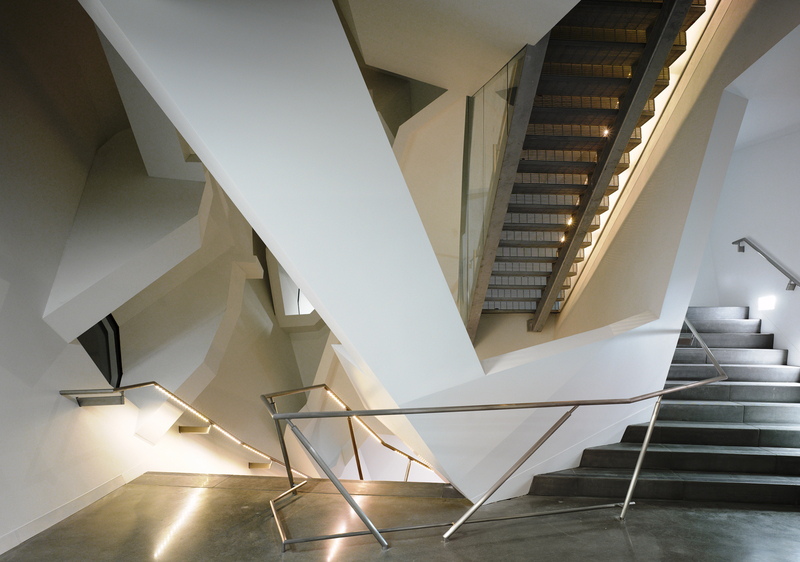 In addition to the unique façade, a large unconventional stairway on the interior includes skylights, numerous glazed openings to rooms on the upper floors, open grate stair treads, and architectural elements that traverse the space. 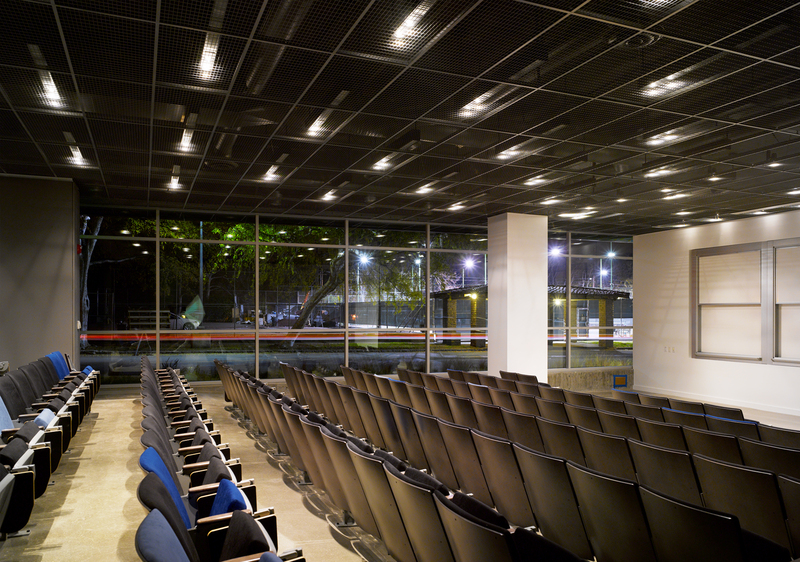 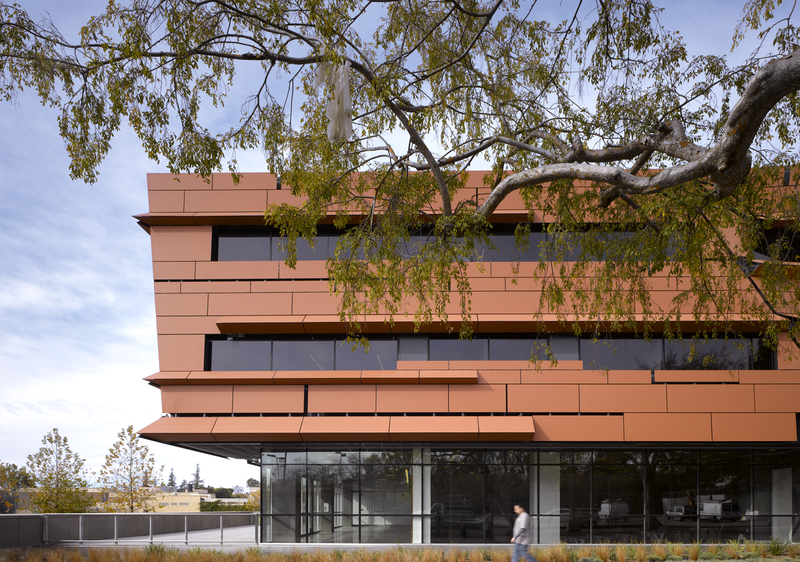 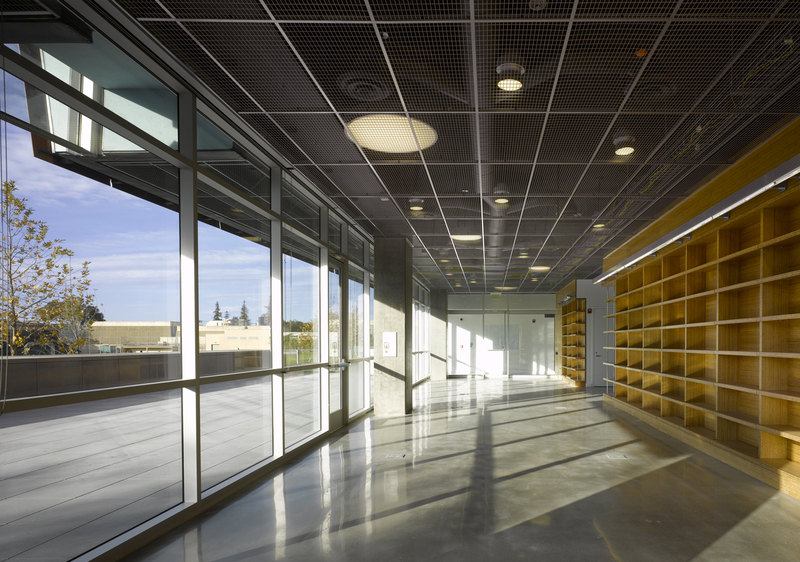 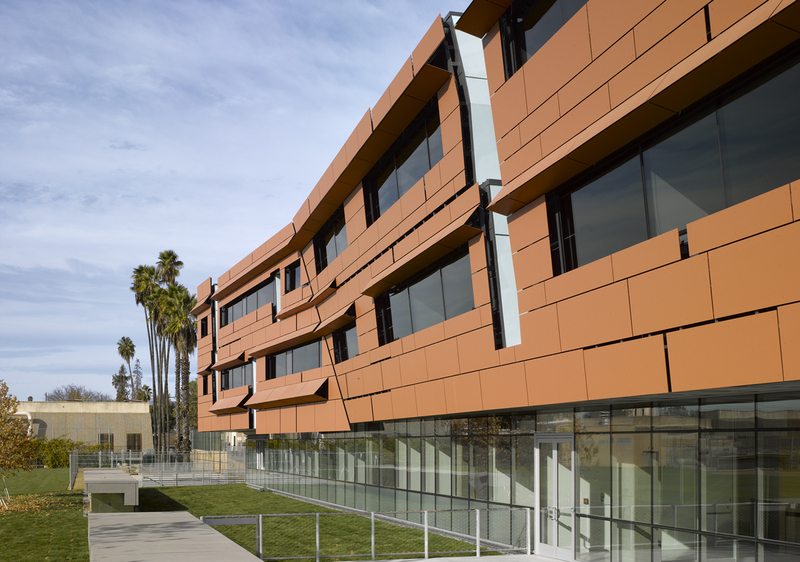 The Caltech Cahill Center is LEED Gold certified, the first on Caltech’s campus to achieve this rating.